Recently, the IRS, EBSA and PBGC released informational copies of the 2018 Form 5500 annual return/report. Continue reading this blog post for more information and some highlighted changes. Administrative Penalties. The instructions have been updated to reflect that the new maximum penalty for a plan administrator who fails or refuses to file a complete or accurate Form 5500 report has been increased to up to $2,140 a day for penalties assessed after January 2, 2018, whose associated violations occurred after November 2, 2015. Because the Federal Civil Penalties Inflation Adjustment Improvements Act of 2015 requires the penalty amount to be adjusted annually after the Form 5500 and its schedules, attachments, and instructions are published for filing, be sure to check for any possible required inflation adjustments of the maximum penalty amount that are published in the Federal Register after the instructions have been posted. The new regulations around association health plans (AHPs) — which loosen restrictions for small businesses, franchises and associations — create two distinct opportunities in the benefits industry. The first is for brokers, who will be crucial advisors to employers eligible for the new coverage options now available. The second opportunity is for benefits and HR tech vendors, who will be instrumental in managing the transactional and administrative challenges that would otherwise hinder AHP success. What challenges do association health plans represent? Let’s consider an example — the Nashville Hot Chicken restaurant franchise. Let’s say Nashville Hot Chicken has 1,000 franchisees, each with five full-time employees. Before AHP options became available to this organization, these five-employee groups would either have had to pursue small group coverage, or employees would have had to find individual plans. Both options likely would have been prohibitively expensive for the organization or the employees. With the new AHP regulations, however, these 1,000 franchisees may be able to pull all 5,000 workers together and create a large group benefits plan. In doing so, they would reap the advantages of collective purchasing, just like large groups do. However, this AHP would not work like a regular group plan. If a regular group has 5,000 employees, they would all be part of a centrally-operated payroll system and the insurance companies would receive just one check for all of the employees enrolled at the group. But under an AHP of franchisees, all the payroll systems would operate independently, and there is no clear, centralized entity to pay carriers. This creates a massive administrative headache for Nashville Hot Chicken corporate, as well as all the individual franchise owners. In other words, who is going to manage the AHP? Here’s where the brokers come in. Employers need brokers to walk them through all the complexities of AHPs, including sourcing carriers, third-party vendors, and compliance needs. It would also be incredibly impractical to manage 5,000 employees through 1,000 separate businesses without a benefits and HR platform. But brokers can provide a solution to this challenge by adopting a platform. With a benefits and HR system, the various administrative differences from franchisee to franchisee can be accounted for, while still allowing the 5,000-life group to enroll in the group offering. By removing the administrative headache, benefits tech makes AHPs a real option for Nashville Hot Chicken. But it also gives the tech-savvy broker a clear leg up on the competition. A broker without a tech solution will be at a severe disadvantage for Nashville Hot Chicken’s business compared to a broker who has a platform. So as small employers, franchisees and industry associations band together for group coverage, benefits tech can give brokers a competitive differentiator for this new business segment. Laurie Cook went shopping recently for a mammogram near her home in New Hampshire. Using an online tool provided through her insurer, she plugged in her ZIP code. Up popped facilities in her network, each with an incentive amount she would be paid if she chose it. Paid? To get a test? It’s part of a strategy to rein in health care spending by steering patients to the most cost-effective providers for non-emergency care. State public employee insurance programs were among the early adopters of this approach. It is now finding a foothold among policymakers and in the private sector. Scrolling through her options, Cook, a school nurse who is covered through New Hampshire’s state employee health plan, found that choosing a certain facility scored her a $50 check in the mail. She then used the website again to shop for a series of lab tests. “For a while there, I was getting a $25 check every few weeks,” said Cook. The checks represented a share of the cost savings that resulted from her selections. Lawmakers in nearby Maine took the idea further, recently enacting legislation that requires some private insurers to offer pay-to-shop incentives, part of a movement backed by a conservative foundation to get similar measures passed nationally. Similar proposals are pending in a handful of other statehouses, including Virginia, West Virginia and Ohio. Still, some economists caution that shop-around initiatives alone cannot force the level of market-based change needed. While such shopping may make a difference for individual employers, they note it represents a tiny drop of the $3.3 trillion spent on health care in the U.S. each year. If they achieve nothing else, though, such efforts could help remove barriers to price transparency, said Francois de Brantes, vice president and director of the Center for Value in Health Care at Altarum, a nonprofit that studies the health economy. “I think this could be quite the breakthrough,” he said. Among the programs in use, only a few show consumers the price differences among facilities. Many, like the one Cook used, merely display the financial incentives attached to each facility based on the underlying price. Advocates say both approaches can work. “When your plan members have ‘skin in the game,’ they have an incentive to consider the overall cost to the plan,” said Catherine Keane, deputy commissioner of administrative services in New Hampshire. She credits the incentives with leading to millions of dollars in savings each year. Several states require insurers or medical providers to provide cost estimates upon patients’ requests, although studies have found that information can still be hard to access. Now, private firms are marketing ways to make this information more available by incorporating it into incentive programs. For example, Vitals, the New Hampshire-based company that runs the program Cook uses, and Healthcare Bluebook in Nashville offer employers — for a fee — comparative shopping gizmos that harness medical cost information from claims data. This information becomes the basis by which consumers shop around. Maine’s law, adopted last year, requires insurers that sell coverage to small businesses to offer financial incentives — such as gift cards, discounts on deductibles or direct payments — to encourage patients, starting in 2019, to shop around. A second and possibly more controversial provision also kicks in next year, requiring insurers, except HMOs, to allow patients to go out-of-network for care if they can find comparable services for less than the average price insurers pay in network. Similar provisions are included in a West Virginia bill now under debate. Touted by proponents as a way to promote health care choice, it nonetheless raises questions about how the out-of-network price would be calculated, what information would be publicly disclosed about how much insurers actually pay different hospitals, doctors or clinics for care and whether patients can find charges lower than in-network negotiated rates. “Mathematically, that just doesn’t work” because out-of-network charges are likely to be far higher than negotiated in-network rates, said Joe Letnaunchyn, president and CEO of the West Virginia Hospital Association. Shopping for health care faces other challenges. For one thing, much of medical care is not “shoppable,” meaning it falls in the category of emergency services. But things such as blood tests, imaging exams, cancer screening tests and some drugs that are administered in doctor’s offices are fair game. Less than half of the more than $500 billion spent on health care by people with job-based insurance falls into this category, according to a 2016 study by the Health Care Cost Institute, a nonprofit organization that analyzes payment data from four large national insurers. The report also noted there must be variation in price between providers in a region for these programs to make sense. Increasingly, though, evidence is mounting that large price differences for medical care exist — even among rates negotiated by the same insurer. “The price differences are so substantial it’s actually scary,” said Heyward Donigan, CEO of Vitals. At the request of Kaiser Health News, Healthcare Bluebook ran some sample numbers for a Northern Virginia ZIP code, finding the cost of a colonoscopy ranged from $670 to $6,240, while a knee arthroscopy ranged from $1,959 to $20,241. Another challenge is the belief by some consumers that higher prices mean higher quality, which studies don’t bear out. Even with incentives, the programs face what may be their biggest challenge: simply getting people to use a shopping tool. Kentucky state spokeswoman Jenny Goins said only 52 percent of eligible employees looked at the shopping site last year — and, of those, slightly more than half chose a less expensive option. “That’s not as high as we would like,” she said. Still, state workers in Kentucky have pocketed more than $1.6 million in incentives — and the state said it has saved $11 million — since the program began in mid-2013. Deductibles, the annual amounts consumers must pay before their insurance kicks in and are usually $1,000 or more, are more effective than smaller shopping incentives, say some policy experts. In New Hampshire, it took a combination of the two. The state rolled out the payments for shopping around — and a website to look for best prices — in 2010. But participation didn’t really start to take off until 2014, when state employees began facing an annual deductible, said Deputy Commissioner Keane. Still, the biggest question is whether these programs ultimately cause providers to lower prices. Kentucky officials report they already are witnessing a market response because providers want patients to have an incentive to choose them. 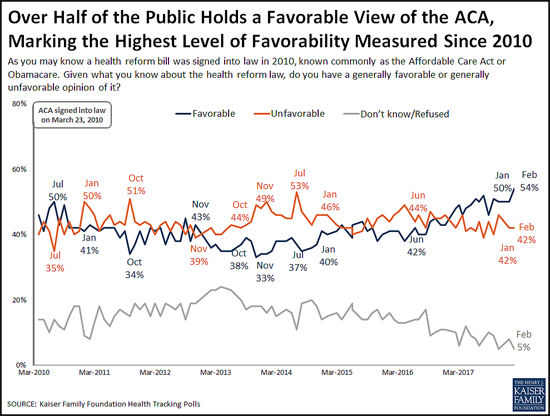 From Kaiser Health News is this poll deciphering where the public sits ahead of Midterms. What is there top healthcare concern? Costs. Get all the information in this article. Since 2010, our health prices have stayed in pace or below inflation. For the first time since then, they're expected be much, much more. Get the details in this article from Employee Benefit Advisor. The growth in U.S. healthcare prices is projected to outpace economy-wide inflation for the first time since 2010, the second report in a week to signal the end of a long stretch of restrained medical increases. This year, price increases for personal health expenditures are projected to rise 2.2%, compared with 1.9% for overall inflation, according to a report released Wednesday by the Centers for Medicare and Medicaid Services. The findings confirmed a recent analysis warning that the U.S. could be at the cusp of a return to higher medical inflation. Health spending is determined by the price of goods and services, as well as how much health care people use. In recent years, increases in health spending have been driven by volume, as millions more people gained insurance coverage under the Affordable Care Act. While high-cost drugs have made headlines, overall price hikes have been historically low, increasing by an average of 1.1% annually between 2014 and 2016. Those trends are projected to reverse. Government actuaries expect the number of people without health insurance to increase slightly after Republicans lifted the ACA’s penalty for going uninsured late last year. Medical price growth, meanwhile, will rebound, “in part reflecting more rapid growth in healthcare workers’ wages,” the report said. Healthcare inflation has been partly restrained by limits on how much Medicare pays hospitals and physicians under the ACA and other legislation, combined with overall slow growth in prices throughout the economy. In recent days, concerns about higher-than-expected inflation have rattled stock markets and pushed up Treasury yields. Investors feared that a tightening labor market and rising wages could push up prices and spur the Federal Reserve to raise interest rates faster than anticipated to keep the economy from overheating. Total health spending is projected to increase by 5.3% to about $3.7 trillion in 2018, according to the CMS report, and the growth will average 5.5% per year over the next decade. While that’s still faster than the overall rate of economic growth, it’s an improvement from past decades. Between 1990 and 2007, annual health spending increased by 7.3% per year. In this article from Kaiser Family Foundation, we are going to take a brief look at the ACA sign-ups this year. Overall ACA marketplace signups for 2018 dropped by 3.7 percent compared to last year’s enrollment period, a new analysis from the Kaiser Family Foundation finds. 11,760,533 people signed up for 2018 health insurance coverage on the ACA individual marketplaces, amid steep reductions in federal funding for outreach and navigators, an enrollment period half as long, and a climate of political uncertainty surrounding the law. The federal government also terminated cost-sharing subsidy payments to insurers in advance of the open enrollment period, leading to increases in premiums but also increased premium subsidies for many consumers that in some cases led to reductions in what they had to pay for coverage. As a group, the 15 states plus the District of Columbia with state-based marketplaces, including those using the Healthcare.gov enrollment platform, exceeded last year’s totals this year by .2 percent, while the 34 states that relied on the federal healthcare.gov marketplace saw total signups drop by about 5.3 percent. State-based marketplaces control their own funding for outreach and consumer assistance. Fifteen states and the District of Columbia exceeded 2017 signups in 2018 – eight of these were state-based marketplaces, three were state-based marketplaces using the Healthcare.gov enrollment platform (KY, NV, and OR), and five were federal Healthcare.gov marketplaces. Rhode Island (12.1%), Kentucky (10.4%), and Washington State (7.6%) saw the largest share increases in signups, while Louisiana (-23.5%), West Virginia (-19.5%), and Arizona (-15.6%) had the largest drop in shares of signups. Algorithmic Bias – What is the Role of HR? How should HR professionals deal with the forthcoming algorithmic bias issue? Find out in this article. Merriam-Webster defines ‘algorithm’ as step-by-step procedure for solving a problem…In an analog world, ask anyone to jot down a step-by-step procedure to solve a problem – and it will be subject to bias, perspective, tacit knowledge, and a diverse viewpoint. Computer algorithms, coded by humans, will obviously contain similar biases. “Algorithmic bias is shaping up to be a major societal issue at a critical moment in the evolution of machine learning and AI. If the bias lurking inside the algorithms that make ever-more-important decisions goes unrecognized and unchecked, it could have serious negative consequences, especially for poorer communities and minorities.”What is the role of HR in reviewing these rules? What is the role of HR in reviewing algorithms and code? What questions to ask? Big data, AI, and machine learning will put a new forward thinking ethical burden on the creators of this technology, and on the HR professionals that support them. Other examples include Google Photos incorrect labeling or Nikon’s facial detection. While none of these are intentional or malicious, they can be offensive, and the ethical standards need to be vetted and reviewed. This is a new area for HR professionals, and it’s not easy. The ethical landscape for HR professionals is changing rapidly. What changes will your employee benefits embark on with The Tax Cuts and Jobs Act passed? This article from Employee Benefit Advisor touches on the topic. The Tax Cuts and Jobs Act is fueling changes to corporate America’s employee benefits, compensation and executive pay programs, according to a survey by Willis Towers Watson. 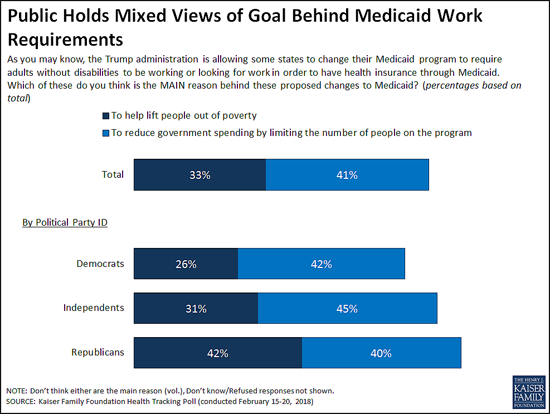 Of 333 large and midsize employers who responded, 49% are considering making a change to at least one of these programs either this year or next. The most common changes organizations have made or are planning or considering include expanding personal financial planning, increasing 401(k) contributions and increasing or accelerating pension plan contributions. Beth Ashmore, the senior consultant for retirement risk management at Willis Towers Watson, says when it comes to expanding personal financial planning and increasing 401(k) contributions, for an employer, the value of making adjustments in those areas is to ensure employees they are going to be taken care of. As for increasing or accelerating pension plan contributions, Ashmore says with the tax law change the majority of employers have a short-term opportunity to make a pension contribution and potentially deduct at a higher tax rate at the beginning of 2018. “Going forward, that tax deduction will be less for a lot of employers under the new tax law,” Ashmore says. Other potential changes to benefit programs include increasing the employer healthcare subsidy, reducing or holding flat the employee payroll deduction, or adding a new paid family leave program in accordance with the Family and Medical Leave Act’s tax credit available for paid leave for certain employees. At least 64% of employers are planning to or considering taking action on their broad-based compensation programs, or have already taken action. The most common changes organization have made or are planning include conducting a review of their compensation philosophy, addressing pay-gap issues and introducing a profit-sharing or one-time bonus payout to all employees. Steve Seelig, executive compensation counsel at Willis Towers Watson, says when it comes to changing compensation philosophy employers should re-evaluate their pay structure to determine if they want to continue to offer the same compensation. “Employers may want to consider a more fixed compensation — similar to what Netflix started — where the CEO is paid much more salary and less performance-based compensation,” Seelig says. Many employers answered questions on addressing pay gaps from the perspective of closing a gender pay gap. However, Seelig says employers could also refer to pay gaps between levels within an organization, such as an associate to a supervisor. “The CEO pay ratio will be disclosed later on this year and employers could take this time as an opportunity to narrow the gaps between positions before the disclosure,” Seelig says.